Relive now the best fights of Street Fighter 2 with its flash version. You can start this adventure with Ryu, which we will face with the rest of the characters in this fight video game saga. 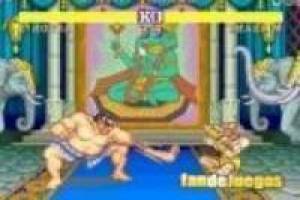 Your first opponent will be Sagat and you will have to use all your skills to fight and get the victory. In the lower part of the screen you will find the keys that you must use to defend yourself and attack your opponent. Combine the keys to get better results and get your health bar reduced before yours. Do not wait any longer to live all the intensity of the battles of a retro classic like Street Fighter 2 in its flash version online and free. 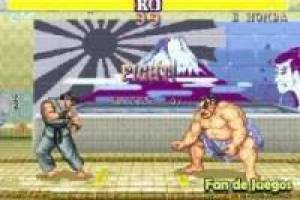 Enjoy the game Super Street Fighter 2 Flash, it's free, it's one of our street fighter games we've selected.